Intel said earlier this week that it doesn’t plan to patch the Spectre variant 2 flaw in some of its older processors. The Santa Clara, Calif.-based company said last month that it had issued microcode updates to mitigate the Meltdown and Spectre vulnerabilities for CPUs that were released in the past five years. But the company now indicates that certain older processor families won’t receive any fixes. In a new Microcode Revision Guidance, dated April 2, the Santa Clara, Calif.-based company said it had stopped production on microcode updates for older Core, Pentium, Celeron and Xeon processors. The impacted CPU families include Jasper Forest, Yorkfield, Yorkfield Xeon, Bloomfield, Bloomfield Xeon, Clarksfield and Gulftown. 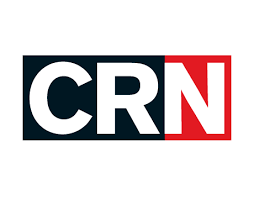 Bob Venero, CEO of Future Tech, a Holbrook, N.Y.-based solution provider and Intel partner, told CRN that while his enterprise customers likely won’t be impacted, he found the news concerning, especially for smaller companies that don’t update their systems as often.